I was out in the middle of nowhere when I realized IT. On a sunny morning, I was out for a run in the countryside. It had been happening for a while, yet it hadn’t dawned on me. Until just – that – moment. And that’s exactly what IT was. The complete clarity of that moment. I saw the greenness of the trees and surrounding vegetable fields. The pale blue sky. The birds flying and chirping to my right. A breeze blowing across the dark asphalt road. I was in that frame of time, and nothing else. But even more: I was fully in tune to my running. I felt, smoothly, how my body and muscles were functioning during the run, as a well-oiled machine. The tap tap tap of my feet hitting the ground in perfect rhythm with my breathing. And that’s when I realized IT. The constant chattering of my thoughts were missing. The stream of things I had to do later that day, of what someone said yesterday, of how far I’d run or still needed to go, of my race, of this, that and the other thing – gone. I had total, clear focus on my surroundings, my body and my running. A couple of weeks prior I had bought a meditation headband known as, “Muse,” to help me meditate. I’d studied meditation before, and said I was going to do it. Without “actually” doing it. I was skeptical. But the headband was a bit expensive, so now that I had some skin in the game – I was invested – I WAS going to meditate. Through sensors that communicated with an app, it detected if your thoughts started to move away, at which point, it would signal you to get back in the game. I made a goal to use it every morning when I woke up. I started with three minutes. Clear your mind, and focus on your breath. That doesn’t sound that hard, until you try to do it, and then all of a sudden, you hear the ending tone of the app and realize that your mind has been elsewhere. The.Whole.Time. Nevertheless, I stuck with it. I made it to five minutes, seven, and twelve. Around the two-week mark, I began to think it wasn’t doing anything for me. I then noticed the same effect on the trails. My mind wasn’t everywhere in the chaos of my daily thoughts. It was on the trail, totally centered, yet without effort. I wasn’t tripping over roots yet I also wasn’t forcing myself to pay attention. The focus was clear, yet natural. In his book, “Running with the Mind of Meditation,” Sakyong Mipham, a marathon runner, Tibetan lama and leader of an international community of meditation centers, says that running and meditation complement each other. It is natural to train both the body and the mind. Without this, we can become imbalanced. This combination of body and mind training, according to Mipham, is needed to become fully engaged in what we are doing. This concept is also similar to what other texts name as, “Flow.” Have you ever been so involved and interested in something that you’ve lost track of time? Then you’ve experienced Flow. If you’ve watched elite athletes competing in their sport, you can see the definition of total focus, the synchrony of their mind and body in a total state of Flow. The first step in meditation can simply be mindfulness. 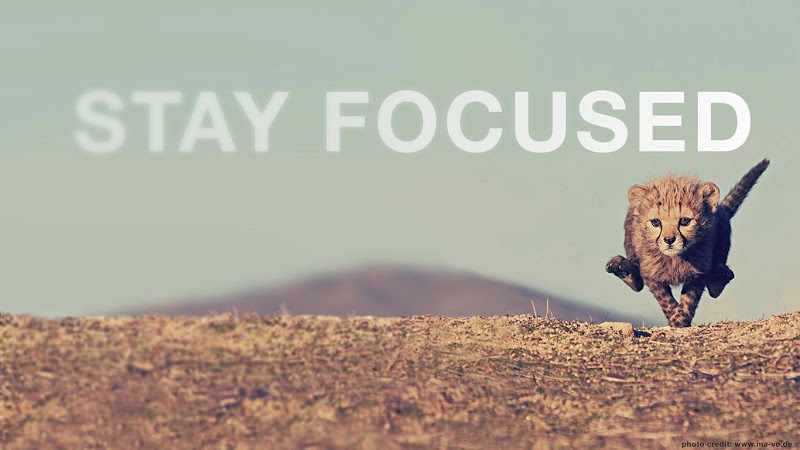 Just noticing what you are doing and staying focused on it. If you are talking to someone, clear your mind and let your full focus be in the other person’s voice. In running, concentrate on your form or even one aspect of your form. When you’re ready to try meditation, it doesn’t have to be complicated. You can simply relax, breathe, and focus on the feeling of your breath entering and exiting your body. Many think you must close your eyes, but you can also focus on something with your eyes open, such as a candle. You can listen to a clock ticking, or you can envision a relaxing scene. If you can’t clear your thoughts, you can simply watch them go by, without judgment, as clouds in a clear sky. Set a timer for two to three minutes, so that you can focus without worrying about the time. There are also many types of meditation. The key is to find the one that resonates with you. I can provide the help you need to incorporate meditation and focus into your life and/or running. Check out your options for private coaching, training programs, or contact me for more information! Next post: Have You “Lost That Lovin’ Feeling” for RUNNING?? Here’s How to Get It Back! !